15/11/14. Alqosh, Iraq. 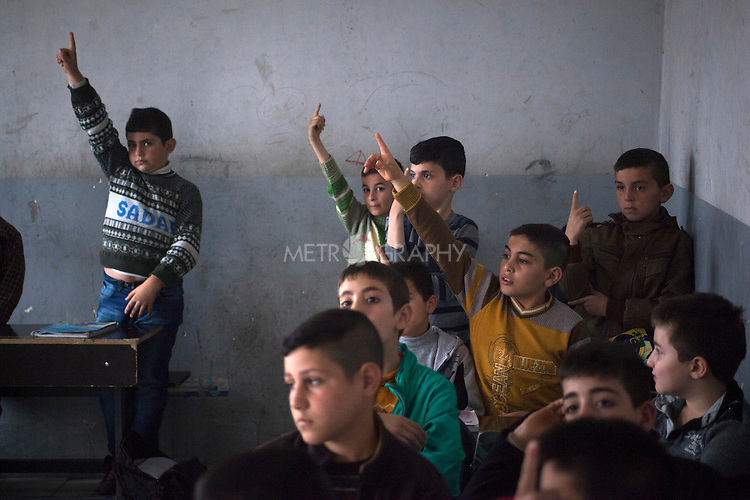 Wassam (centre right, yellow shirt) raises his hand to answer a question at the Alqosh School. Three of the children from the orphanage currently study at the school, which was founded in 1926.